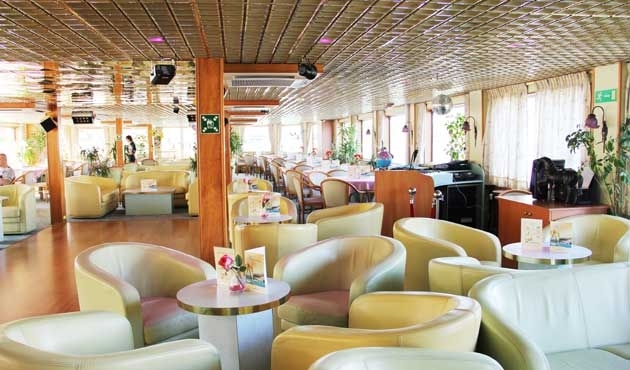 The MS Belle de Cadix is a 3 deck sailing vessel that sails the Guadalquivir and Guadiana Rivers and along the Atlantic Coast. 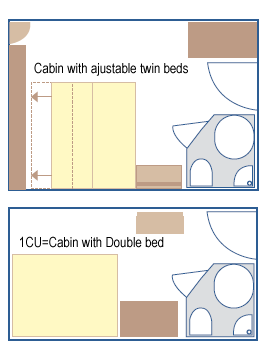 1 cabin equipped for the disabled with double bed. 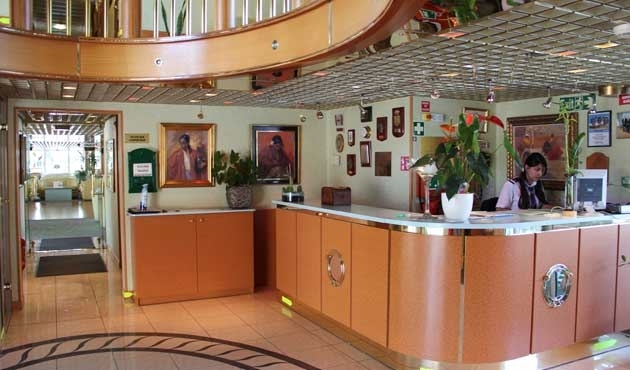 All cabins have a shower and WC, TV, radio, internal phone, hairdryer, airconditioning, and safe. 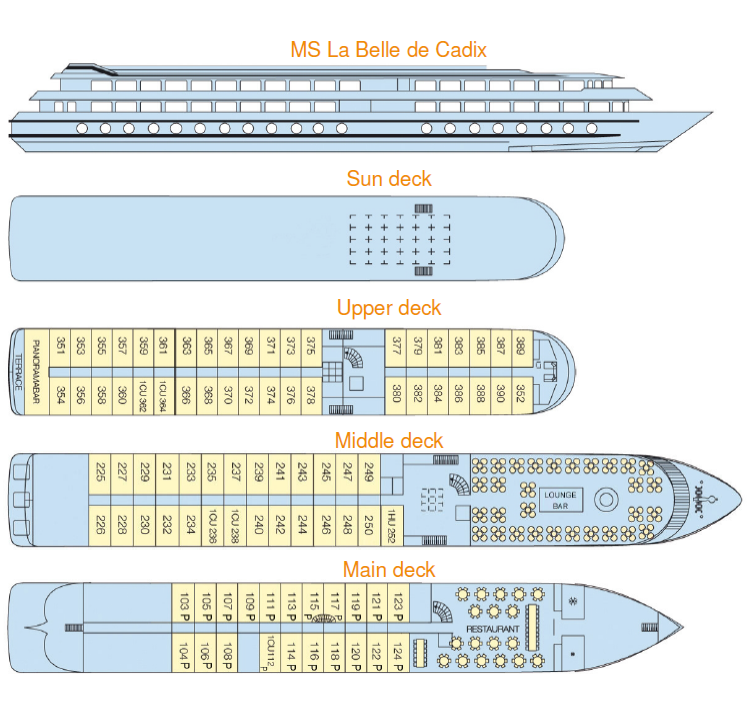 The lower deck cabins have port holes. 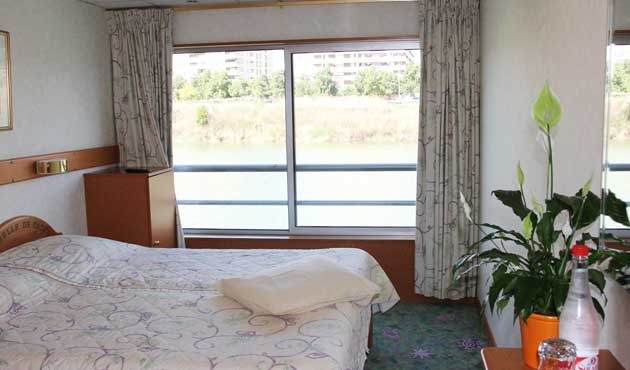 Middle deck cabins have large panorama window and upper deck cabins have french balcony. There is one cabin designed for the physically disabled. Casual and comfortable during the day. More elegant clothing may be worn in the evening.